Having a dog who is a picky eater can make it very frustrating and challenging to find a food that they'll eat more than once. You want to make sure that your dog is getting all of the vitamins, minerals, and nutrients they need to stay healthy, even if they're picky. 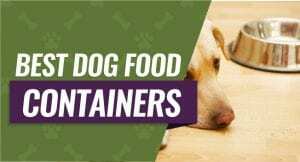 We've picked out what we think are the top five best dog food for picky eaters and reviewed them to allow you to compare them side by side. We're also going to talk about what you want to look for in your picky eater's food, what could cause your dog to be a picky eater, and more. Dental issues like broken teeth, abscesses, and infections can make it very painful for your dog to eat, especially as they age. Your vet will have to clean your dog's teeth, pull any broken or damaged ones, and prescribe antibiotics to help get your dog's teeth healthy and gums healthy again. Dogs can have several digestive issues that act up each time they decide to eat. You should look for things like bloating, gas, vomiting, pain, and diarrhea. You may have to give your dog a limited ingredient food until you figure out what's causing your dog's digestive problems. If you don't get your dog spayed or neutered, they can go through a lot of hormonal changes that could make them more picky about the food they eat. 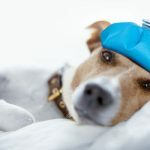 You may notice that these hormonal changes get worse and then seem to get better as your dog's hormone levels fluctuate. One of the scariest health problems that owners often immediately think of is some sort of cancer or tumors. This may not be extremely common, but your veterinarian can rule it out by performing things like lab work, a urinalysis, and a thorough physical examination. Although your dog may just be picky, it's important for you to know when you should start actively worrying about their eating habits. Some dogs do just fine with being picky, and other dogs start to have health consequences. 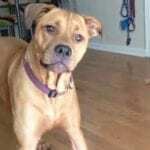 If your dog is normally a healthy eater without being too picky and they suddenly stop eating, this is usually a red flag that something isn't right. It could be anything from dental decay and hormonal problems to kidney disease or liver disease. Your vet can rule out any serious issues. Maybe your dog eats and then has bouts of diarrhea or vomiting after each meal. If this is the case, you want to get ahold of your vet straight away because it's easy for your dog to get dehydrated because they most likely won't be drinking anything at this point either. Lethargy is a condition where your dog just doesn't have any energy to play or run around like they used to. This could be because they're lacking with minerals, vitamins, or nutrients due to their picky eating. Again, it could also be because of a deeper health issue that your veterinarian can diagnose. Have you noticed your dog's overall condition getting worse or weight loss? If so, it could be time to start worrying more about your dog's eating habits. Look for things like a dull coat, poor skin condition, and more prominent bones along the back, hips, and ribs. There are several ways you can encourage your dog to eat without having to purchase extremely expensive dog food. They may not work for every dog, but it doesn't hurt to try them. Cut Back on Treats: Do you know how many treats you feed your dog a day? Start monitoring your dog's treats and cut back on the amount you feed them. Graze Feeding: Instead of allowing your dog to eat whenever they feel like it, cut back on the graze feeding. Schedule them meal times, keep a routine, and remove their food after a set period of time. Human Food: Yes, your dog is the cutest thing on the planet when they beg for food. However, feeding them table scraps and human food can cause them to turn their noses up at their own food because it doesn't taste or smell as good. Physical Activity: Your dog should be getting enough physical activity each day. This can help to stimulate their appetites and be happier to eat their own food. You can entice your dog to eat by trying out different foods. However, there are several important things that you want to watch for in your dog's food. Dehydrated meaty bits are a tasty way to introduce a higher protein content into your dog's food that they can enjoy eating. The dehydrating process works to preserve more of the meat's original nutrient content, and this can help entice your dog to eat and keep a healthy weight. Healthy fats boost the nutrient content of your dog's food to help with skin, joint, and coat issues. Additionally, fats can also help your dog's food taste better and be more appealing to your picky eater. Animal fats are important, and you want to look for fish, beef, or chicken fat. Adding interesting accents to your dog's food can encourage them to eat each time you put their food in front of them. Your dog's food should have things like blueberries, carrots, peas, legumes, pumpkin, and spinach. These things will give your dog an added nutrient boost as well. Ideally, your dog's food should contain a strong flavor source from real flavors instead of by-products or meat meals. You should see real meat listed in the first few ingredients on your dog food bag; ideally it should be organic or raised and sourced from the United States. The Honest Kitchen brings human-grade ingredients that come dehydrated to preserve most of their nutrient content while keeping a taste that your dog will like to eat. You can choose from three different flavors to keep your dog interested in the food including free-range chicken, ranch raised beef, and cage-free turkey. You'll get a healthy and organic meal to feed your dog with ingredients like barley, potatoes, flaxseed, carrots, parsley, bananas, celery, kelp, and vitamins and minerals. There are no by-products, no GMO ingredients, and no preservatives for a healthy food that is gentle on your dog's system. Everything in this dog food is either dried or dehydrated, and all you have to do is add warm water to serve your dog a nutritious and filling meal. The Honest Kitchen's food is made and processed in the United States at a human-grade food processing facility to ensure quality standards. Dog owners who bought this organic food for their picky dog liked that it comes packed with nutrients and vitamins that are preserved by dehydrating. Dog owners did find that this food comes in as a more expensive choice, even for the smallest size. Rachel Ray Nutrish's dog food formula comes packed with real meat as the first ingredient, peas, carrots, brown rice, beet pulp, and chicken fat for a nutritious and filling meal. This food also contains a healthy amount of prebiotics to help soothe your dog's digestive system and keep them regular. Your dog will enjoy a healthy meal alternative that doesn't have any preservatives, artificial flavoring, poultry by-product meals, wheat, fillers, or wheat gluten. There are several vitamins, minerals, and healthy fats packed into this food to support your dog both inside and out. 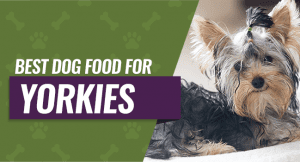 You can pick from four different sizes ranging from a smaller six pounds up to a larger 40 pounds, and this is important for picky dogs because you want to be able to test food with them before buying a larger size. Real meat is the first listed ingredient on the packed from a farm-raised beef source. 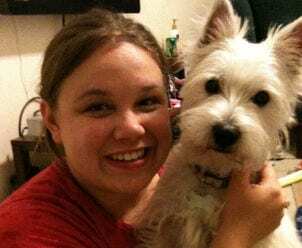 Dog owners who bought Rachael Ray's dog food liked that comes with a healthy amount of fatty acids, vitamins, minerals, and real meat as the first ingredient. They did mention that this dog food can have a stronger smell when you first open a bag. This dry dog food from Blue Buffalo contains a high protein formula with deboned salmon listed on the package as the first ingredient. Fish meal follows the salmon as the second ingredient to ensure that your dog gets all of the protein they need for healthy growth, system support, and maintenance. Your dog will enjoy a specialty formula with a good amount of fruits, vegetables, essential proteins, carbohydrates, and fatty acids that supports a healthy coat and skin. The antioxidants in this food's formula can give your dog's immune system a boost, support healthy aging, and help prevent oxidative damage. 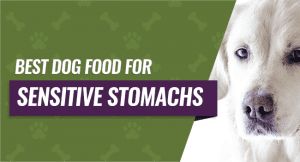 This food is formulated to be gentle on your dog's digestive system because it doesn't contain any corn, poultry by-product meals, soy, wheat, artificial colors, or artificial flavors. The LifeSource Bits help to ensure that your picky eater gets all of the nutrients they need no matter how much they eat. Dog parents with picky dogs who bought this food liked that it came with LifeSouce Bits that were rich in vitamins, nutrients, and antioxidants. Dog parents who bought this brand did say that the kibble is slightly harder than other brands. This dog food by Nature's Variety comes packed with a grain-free kibble that is enhanced by raw pieces that come freeze dried to retain their nutrient value. The formula is designed to be easy on your dog's digestive system each time they eat to enhance mealtimes and encourage them to eat. This formula is healthier than other brands because it's formulated with vitamins and minerals, but it avoids grains, gluten, wheat, corn, soy, fillers, artificial colors, artificial flavoring, and artificial preservatives. The probiotics help to support a healthy digestive system. Your dog will be able to eat this dog food for every stage of their life from puppyhood up to senior without missing out on any nutrition. The fatty acids in this food work to support your dog's skin, coat, and joints to ensure that they're healthy throughout your dog's life. Dog parents who bought Nature's Variety dog food liked that they could feed this food to their dogs starting in puppyhood and moving up through their dog's life. Dog parents did say that there are fewer raw bits in the larger dog food bags. This limited ingredient wet dog food from Blue Basics comes in four different flavors to keep your dog interested including potatoes and duck, lamb, turkey, and salmon. You'll get an easily digestible carbohydrate source in the potatoes combined with a quality meat source for a balanced meal. This food comes with an optimal blend of ingredients to support entire system health including omega three and six fatty acids to support a shiny coat and healthy skin. It's great for dogs with allergies or sensitivities because it doesn't contain any dairy, eggs, corn, wheat, or soy. 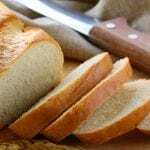 There isn't any wheat in this food, and this is important because many dog foods use wheat to thicken their wet formulas. Your dog will also enjoy fruits and vegetables like pumpkin, blueberries, peas, fish oil, and cranberries each time they eat this food. Dog parents that bought Blue Basics liked that it came in several different flavors with potatoes as an easily digestible carbohydrate. Dog parents who bought Blue Basics did say that it had a stronger smell when they opened the can and fed it to their dogs. Our pick for the best dog food for picky dogs is The Honest Kitchen Human Grade Dehydrated Organic Grain Dog Food because it contains human-grade ingredients that go through a dehydration process to retain their nutrients. This food comes in three different flavors raging from chicken and turkey to beef. This food allows you to feed your dog warm meals at every feeding because you add water to rehydrate the food. 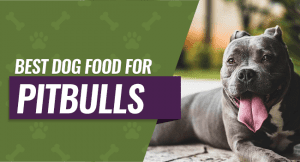 Finally, this food also contains a healthy and nutritious mix of potatoes, barley, flax seed, bananas, celery, kelp, and more to give your dog a balanced meal each time they eat it.